GET THE GIANT ART BOOK! 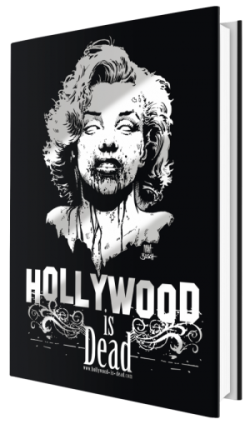 Click the book to be the first on your block to get this beautiful HARDCOVER ART BOOK with over 200 PAGES of your favorite Box Office Cadavers! Each limited edition book comes in a gorgeous leatherette SLIPCASE and is SIGNED and NUMBERED by Artist MATT BUSCH! “Like” HOLLYWOOD IS DEAD on Facebook! 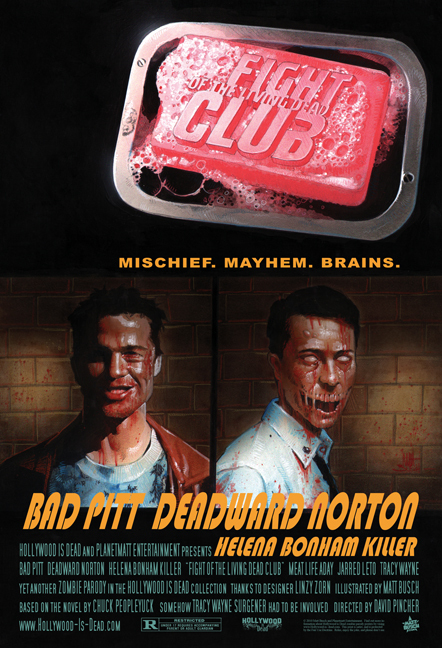 The first rule of FIGHT of the Living Dead CLUB? We don’t talk about FIGHT of the Living Dead CLUB. It comes rolled in plastic and protected in a box during shipping to keep it in pristine condition. What happens then is up to you. © 2010 Planetmatt Entertainment, Site designed by Matt Busch with a little help from the Squids.